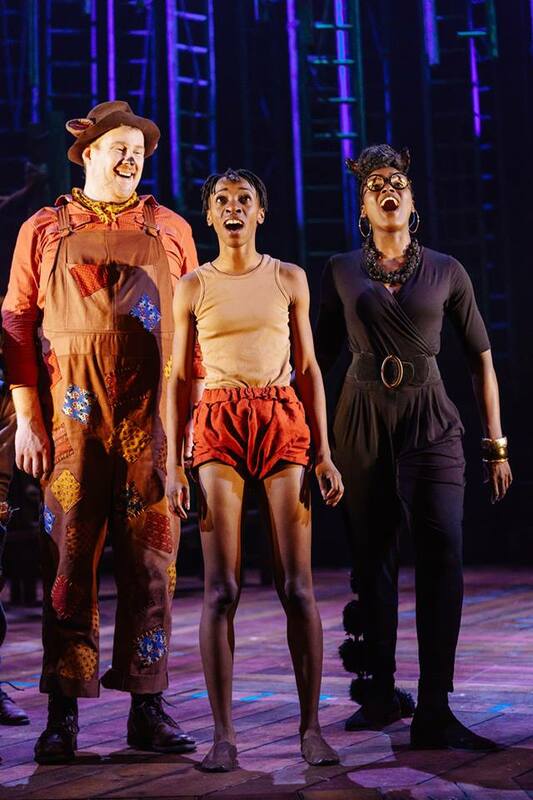 Keziah Joseph is playing Mowgli in A Children’s Touring Partnership and Royal & Derngate, Northampton co-production of The Jungle Book. Mowgli is a ‘mancub’ lost in the jungle and found by two wolves, Raksha and Hiran. I’m a baby when they find me, and they teach me how to hunt and about jungle law, along with my two other adoptive parents, Baloo the bear and Bagheera the panther, who help to raise me and teach me the master words, which are basically all the animal languages of the jungle. Mowgli is a loveable but cheeky kid, who loves to hunt and wants to be just like the other wolves but unlike them, Mowgli can climb and pull thorns from their paws and think of innovative ways to catch food. Mowgli is a fast learner who I like to think has the same inventive and quick mind as Kevin from the film series, Home Alone. 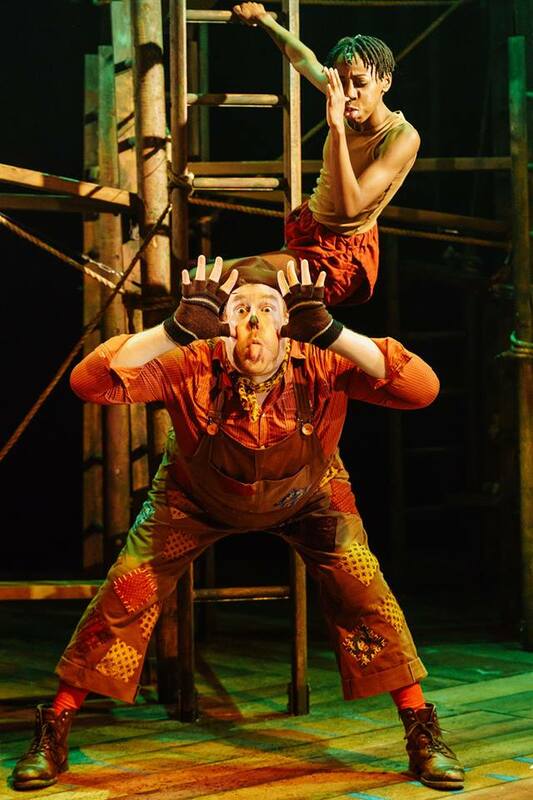 Mowgli goes on an important journey of discovery about identity and belonging throughout the play. It’s kick-started by me learning that I’m not a wolf, but a human, something alien and untrusted in the jungle. I learn that not everyone in the jungle is my friend, especially where Shere Khan is involved and how he will do anything to turn the other animals of the jungle against me with fear mongering, in order to get to me. I learn ultimately, that embracing my difference will actually save the jungle in the end and get rid of Shere khan. I have to face my fear of being misunderstood, feared and disliked though first. I think most young audiences can relate to the uncertainty or the search for where they fit in, either at school or in their wider community or maybe even in their own families. I think they can understand the fear of being misunderstood or ostracized and outcast for being different and consider where they may have even done that to others. I re-watched the 1967 Disney cartoon version that was definitely the most nostalgic, and also the recent live action film, as well as reading through Kipling’s original story, which our play was adapted from. That was perhaps the most helpful research in terms of understanding the arc of the story and all the characters. 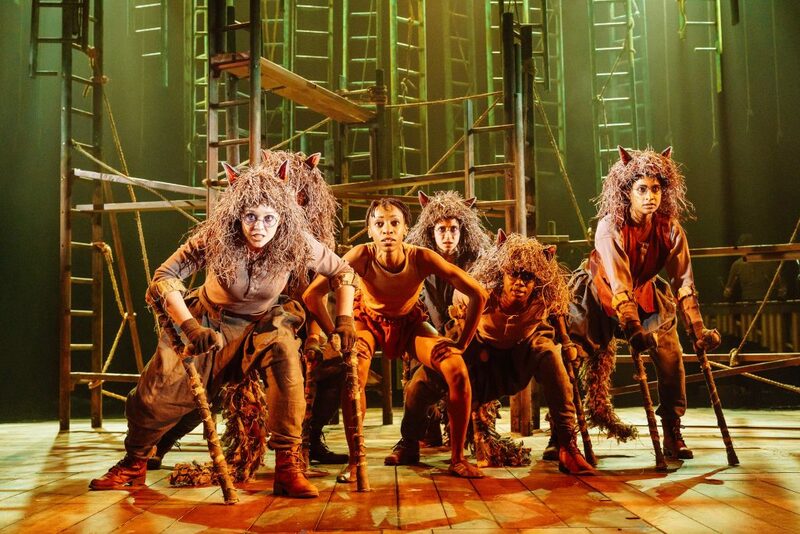 I got ideas for physicality from the cartoon and spent some time watching Youtube videos of wolves for inspiration as well as my little baby cousins to help with sound and movement for the two Mowgli puppets. Learning the different dances and getting to explore the climbing frame structure that represents all the trees, rocks and cliffs in the jungle. 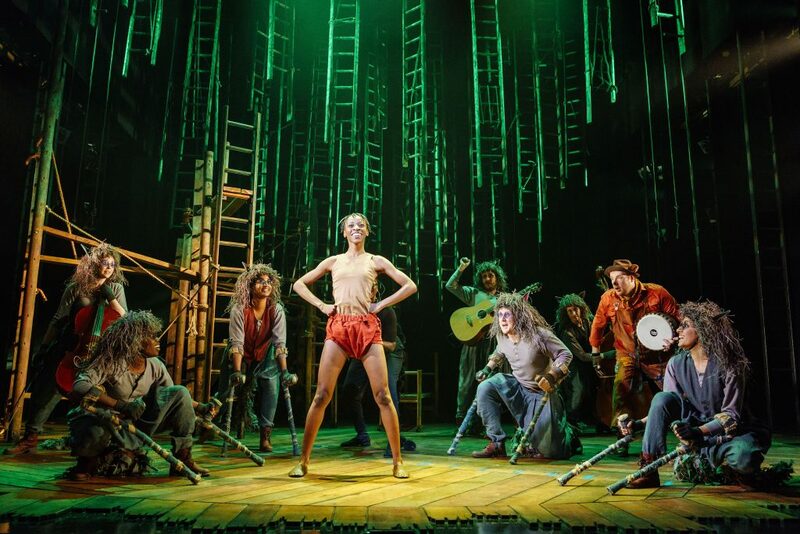 I also enjoyed finding my feet with Mowgli’s song ‘Who I am’ which was written for me by Joe Stilgoe, our musical composer. 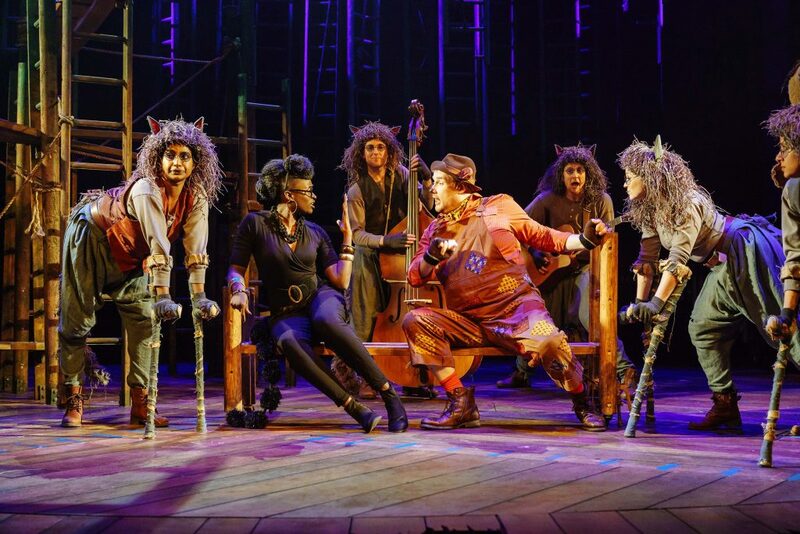 The cast have all really invested in the magic of an otherwise unbelievable story – a small child making friends and finding home with otherwise deadly and dangerous wild animals! 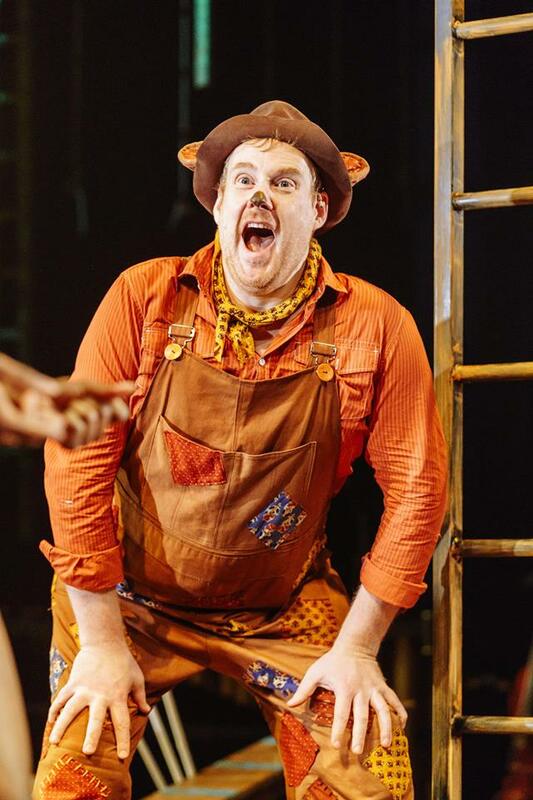 They’ve brought the recognisable key characters and relationships from the original story to life in fresh and fun ways, with the brilliant benefit of fantastic new songs and set and costume design that form the foundation of our Jungle Book’s world. 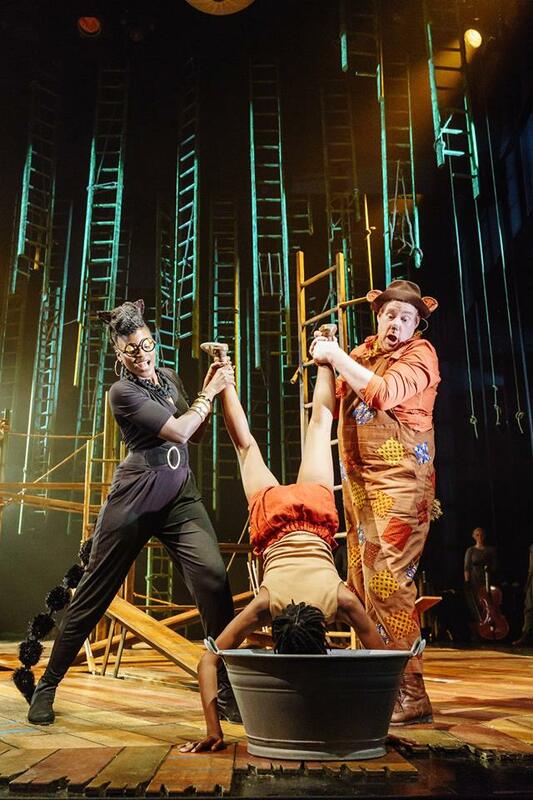 Also, our Mowgli’s gender is unspecified, meaning audiences can decide whether Mowgli is a girl or boy, or enjoy not knowing and just following a child’s journey of discovery that is universal and not based on gender. Other characters in our version are also now female where they were originally male encouraging a change of perspective about the gender of leaders, authority figures or heroes. Q. What is it like to work with an ensemble cast? The best! The fun you have with storytelling when you’re doing it collectively with a company is unmatchable. It’s great to know you’re all working together to tell the same overall story using puppetry, song and dance especially. It feels like a family. 1. You have to absolutely love it. I think being able to act as a job is a luxury but it is also hard work and very demanding and you have to see it as a marathon and not a sprint, so you’ve got to love it to be able to keep going with it. 2. Go and see theatre as well as watching different genres of films and do what you can to learn about your craft, learn what styles of acting excite you, what stories you want to tell or see told and what actors inspire and motivate you. 3. Have your ‘other thing’. It will probably end up being really useful for your acting or somehow feeding back to it, but it’s good to have another thing that you enjoy and can do – maybe you like writing, or singing, or teaching, tutoring or building and making or dancing – whatever it may be, keep it alive. Q. Tell us about the puppetry in the performance; had you worked with puppets before, and what are the challenges? I’d been lucky enough to do a day’s workshop in banraku puppetry a couple of years ago that was really clear and enjoyable, but manning a banraku style puppet on my own (usually you have 3 people) in this show definitely had its challenges. I always found finding the voice or sound of a puppet difficult and more enjoyed working out how to recreate movement for the puppet. 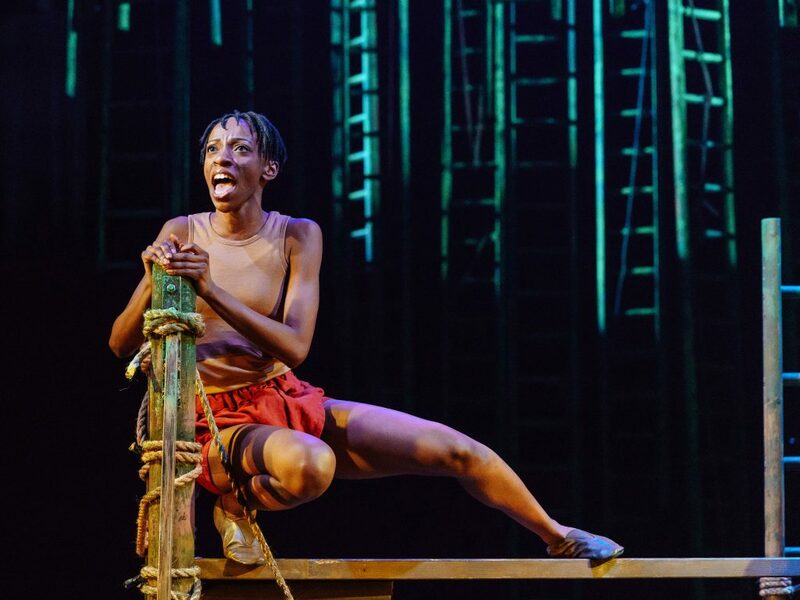 Baby Mowgli is on stage for quite a while and it took me a little while to get used to the weight and physicality and options for movement for the puppet as well as finding believable baby sounds and interactions with other characters that weren’t forced. Definitely not a trained or experienced puppeteer, I felt quite intimidated by the prospect of solely having to bring the first Mowgli the audience would see, to life, but I remembered what I enjoyed about the workshop I’d done, found time to just play and experiment with movement on my own without any pressure, and asked to sit out and watch the puppetry director do certain things I couldn’t quite understand, and now I’m back to finding it fun and even able to improvise with the puppet. The second Mowgli puppet was more what I was expecting and easier to maneuver in a way, but the challenge there was getting in sync with the other two actors on the puppet who also had little to no experience. Breathe and practice, practice, practice were the key things that helped us. 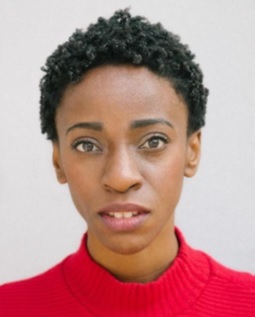 Don’t miss Keziah Joseph performing as Mowgli in The Jungle Book from 8-12 May. Book your tickets online by clicking here or call our Box Office on 01253 290190.